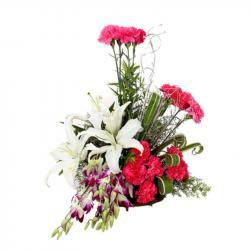 Product Consist :Glass vase arrangement of 24 mix colourful carnation. Classic glass vase arrangement of colorful carnations is looking very fabulous. 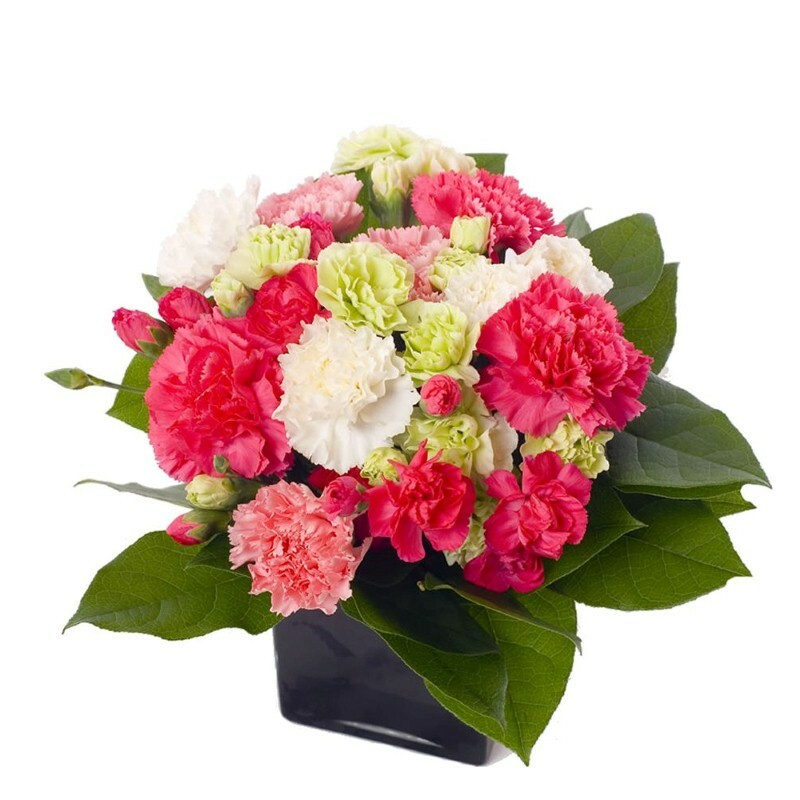 This is the master Peace which contains twenty four long stem carnations with green fillers. 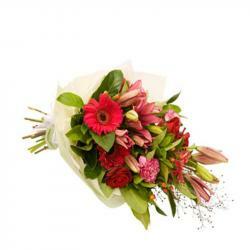 This exotic arrangement will bring love life to the gifted person. Send this vase of carnation to someone special to make them feel special and express your feelings on special occasion for Valentines Day. 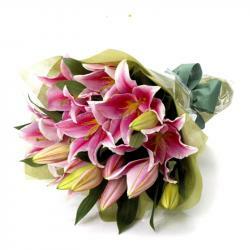 We assure you that the recipient loves this lovely gesture of love and impress with your choice of gift. 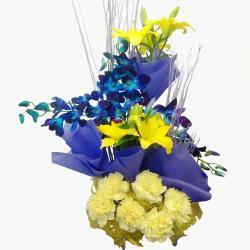 Product Includes: Glass vase arrangement of 24 colorful carnations.